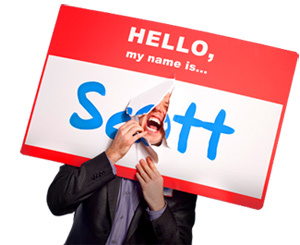 People Respond to Policies - HELLO, my name is Scott! The other day I got a phone call from a guy who wanted me to join his association. He made a strong case, too: reasonable dues, good people, great networking. When he asked for the sale (or in this case, the membership), I paused for a few seconds before responding. Dead silence. I smiled and waited. Dead silence. I smiled and waited some more. 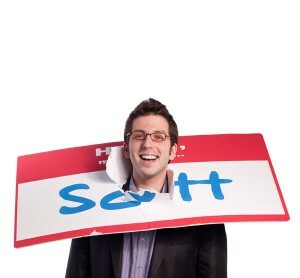 ‘OK well, uh, thanks for your time Scott,’ he resigned. Whoa. Where did THAT come from?! I wondered. That was a first for me. Telling someone my ‘policy’ on saying no. And I tell ya what; it felt GREAT! And nobody’s time was wasted. LESSON LEARNED: people respond to policies. NOTE: I’m not talking about company policy. That’s different. I’m talking about personal policy. Knowing thyself. Being the world’s expert ON yourself and confidently articulating that on a consistent basis. 1. Brainstorm a list of 10-15 of your most valued personal policies. 2. Organize and type them out on a small card. 3. Carry that card in your wallet. 4. Look at it regularly. 6. Smile and wait for them to respond. And they will. Every time. Because people respond to policies.